Sadly, we do not have a cozy fireplace in our house, or a fireplace at all. It is a must for our next house though, and it keeps me dreaming about that future day. 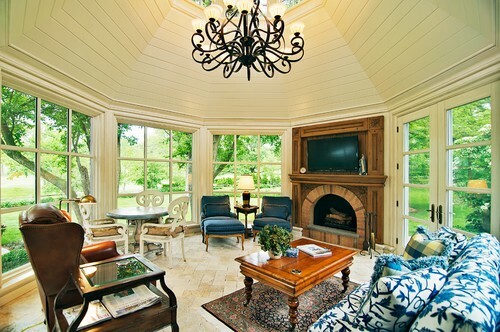 The only thing better than a fireplace would be a fireplace in a sunroom!!! 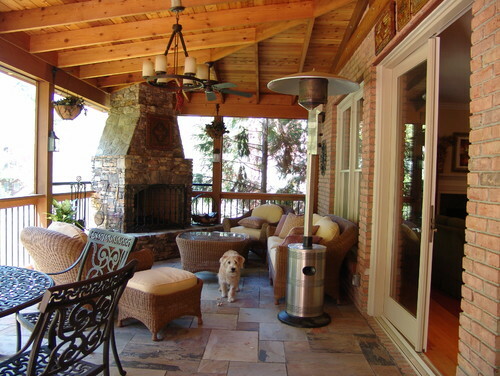 traditional patio design by vancouver general contractor Clay Construction Inc.
ooh. I like the second and fourth ones best. 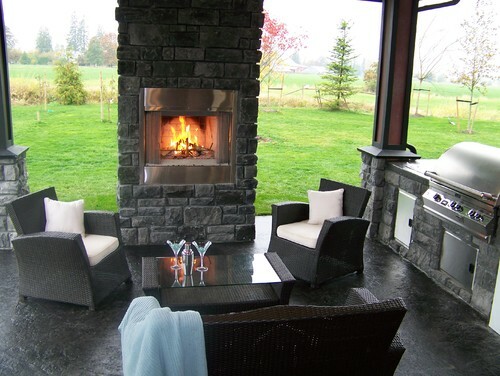 Seems so nice to put the fireplaces against the outdoor scene.